On the mission “SO FOUL AND FARADAY” after collecting the unicorn song, I’ve traveled to Faraday’s lab, once I’m at the door, it says “locked”. I’m not confusing it with the other door that says “jammed”. I know that’s not possible to get in to. I’m playing on PS4. I’ve tried saving and re-loading, coming back at different times of the day, travelling to another city and back. Nothing I do seems to work. Any ideas or tips on what I could do to resolve the issue? I’ve done every other side quest possible so the only thing for me to do now is this mission. Since I’ve been stuck and had no other alternatives, I had to take a break from the game in hope that there might be and update to fix the issues. I’ve come back a month later and still the same thing is happening. Let me know if any ideas come to mind please. We're sorry to hear that you're encountering this issue. Do you know if your character has any lockpicks in their inventory? These will have to be in the character's inventory and not the pneumatic stash, as lockpicks cannot be used from the stash. 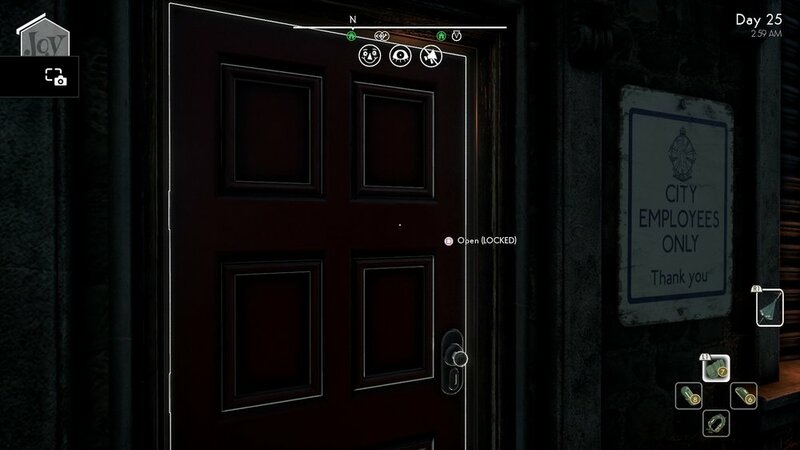 If you only have bobby pins, try crafting a lockpick through the crafting menu and see if you're able to pick the lock. If that doesn't work, then we'll need some more information to help troubleshoot the problem. If possible, could you send us your game save? This will allow us to load the save game and look into what's happening. Unfortunately, the studio is closed over the weekend and the earliest we will be able to look at the save data will be on Monday, EST time.